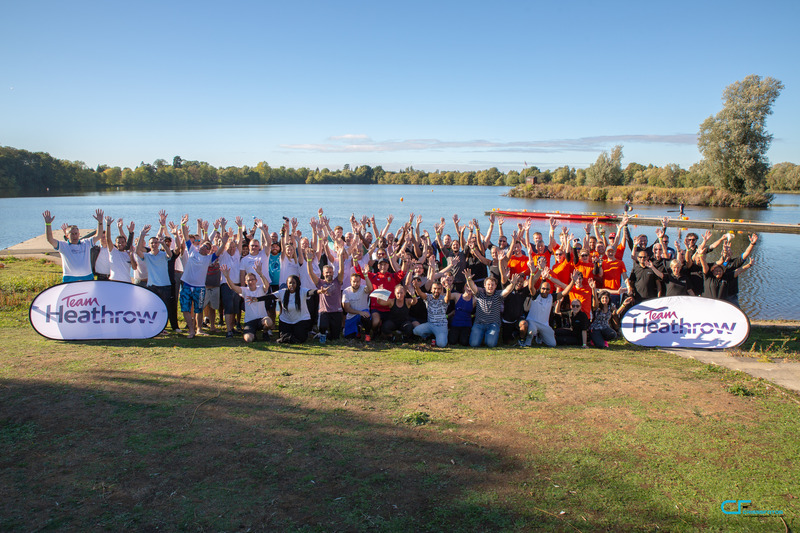 Following the success of last September’s Dragon Boat race, Heathrow Development has arranged another event for Wednesday 29 May. This time the event is being held at the stunning Dorney Lake near Eton, the home of Olympic and Paralympic rowing. Entry to the event is open to all HAL Development, Delivery Integrators and supplier partners. If you’d like to take part we need you to first organise yourselves into teams of 11 people (including a drummer) and appoint a team captain. Each team will need to pay £750 to enter, this includes hire of the boat with paddles, coaching and all the facilities and refreshments on the day. There is a maximum of 10 teams in the competition so get in quick as entry will be on a first come first served basis. Closing date for entries is 1 May 2019, so to avoid disappointment make sure you book your place early – it’s got the makings of a very competitive day!